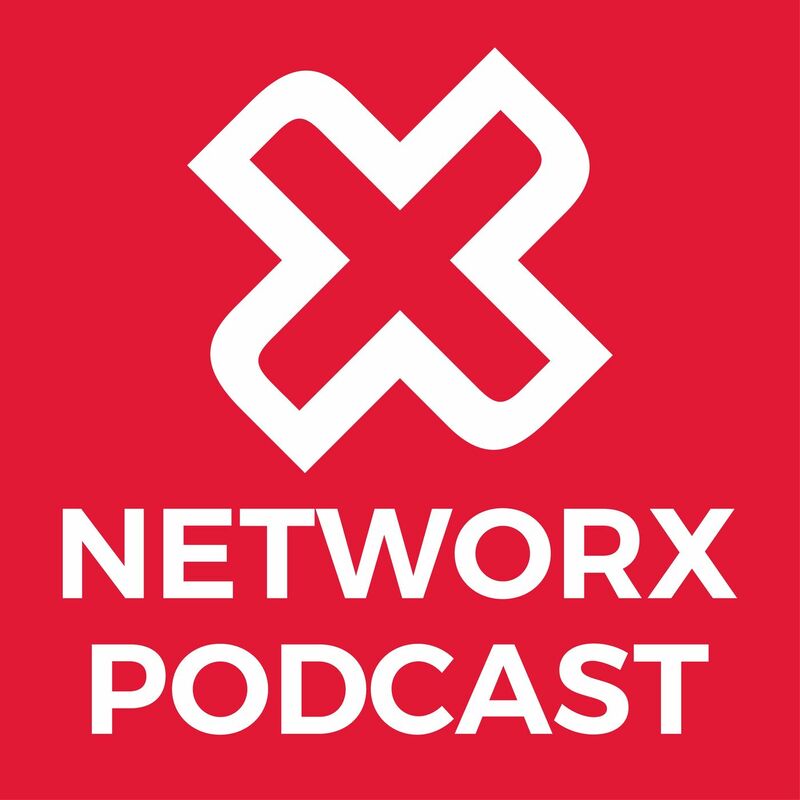 Networx Podcast | Listen Free on Castbox. Instagram is a powerful tool to build brand awareness, generate website traffic and increase sales to an engaged audience. By harnessing the power of images and creativity, brands are connecting and resonating with target audiences in completely new ways. Join us as we discover how to leverage hashtags, deliver creative captions and choose the best filters to tell your story. During this podcast, you'll discover:How Instagram thrives in a mobile first ageHow customers/clients engage with Instagram How to convert users to share and discover your contentHow to target and find new users through hashtagsHow to be creative and stand out through storytellingPanellists include:Ash Daniec, Creator & Director, SoBa Kory McAvoy, Creative Director, Engine Group & Co-founder, The Academy of Grounding Nathan Biddle, Multimedia Designer & Producer, Brisbane BroncosPanel Facilitator: Elizabeth Gibbons, Director of Client Services, zeroseven Podcast Host and Event MC: Lisa Ma, Networx Brisbane & Iceberg EventsList of the speakers' Instagram accounts:Ash Daniec: @ashdaniec @wearesoba Kory McAvoy: @korymc @theacademyofgrounding Brisbane Broncos: @brisbanebroncosElizabeth Gibbons: @gibbled @zeroseven_brisbaneFurther resource links:Networx blog post: Event Highlights from our Instagram PanelNetworx final top tips video: Instagram - Brand engagement through imagery and storiesNetworx video: Ash Daniec sharing her Instagram tips+++This is a live recording at The Lord Alfred on 30 October 2018 by Select Audio Visual.Networx Brisbane events are organised by conference and events company, Iceberg Events. These events are proudly supported by Reload Media, Vivo Group, Select Audio Visual, Vision6, Andzen and DPMA.Produced by Networx Brisbane, Australia. For upcoming live events, visit https://brisbane.networxevents.com.au/eventsFollow Networx Brisbane on Facebook, Instagram, LinkedIn and Twitter. While it's easy to love the concept of fully automated buying and selling of ads, and the promise of huge ROI and transparent performance metrics, in reality adtech and programmatic has historically been a marketplace full of tricks and traps. In 2018, the industry is reaching a point of maturity. Data ethics, ad fraud and bad actors are right in the spotlight and new technologies and methods are promising more trustworthiness and better performance for those in the know. Join us as we traverse everything programmatic and adtech to bring you up to speed on the latest innovations, challenges, and opportunities.During this podcast, you'll discover:Programmatic... What the hell is it? Dynamic content and personalised adsProgrammatic TV and audioGDPR, data rights and ethicsAd fraud and transparencyTechnology versus creativityPanellists include:Cara Walsh, Programmatic Pioneer, Walsh ConsultingMichael Chen, Digital Media Portfolio Manager, Reload Media Michael Petersen, Director, My Media Trading Desk Panel Facilitator: James Gauci, Senior Digital Manager Podcast Host and Event MC: Lisa Ma, Networx Brisbane & Iceberg EventsFurther resource links:Networx blog post: Unpacking Programmatic and Adtech in B2BNetworx final top tips video: Programmatic Principles - How to evolve in the automation and adtech arena+++This is a live recording at Queensland Cricketers' Club on 25 September 2018 by Select Audio Visual.Networx Brisbane events are organised by conference and events company, Iceberg Events. These events are proudly supported by Reload Media, Vivo Group, Select Audio Visual, Vision6, Andzen and DPMA. Produced by Networx Brisbane, Australia. For upcoming live events, visit https://brisbane.networxevents.com.au/eventsFollow Networx Brisbane on Facebook, Instagram, LinkedIn and Twitter. Are you one of those people who take the advantage of listening to podcasts during your drive to and from your place of work, or while taking a walk, or on a plane journey Podcasting is on the rise... How can brands leverage off this medium and add it into their marketing mix? Podcasting is one form of content that builds client trust and establishes your business as the authority in the industry. Our panel will cover the power of audio, the future of podcasting, storytelling, promotion and leverage, monetisation, as well as case studies of successful podcasters that are making a difference.During this podcast, you'll discover:What it takes to be a successful podcast producerProduction, equipment, content, marketing and monetisationThe power of authenticity and staying true to your brand How to build a loyal listener base Why original content is key Consistency and commitment is key Successful business case studiesPanellists include:Stevie Dillon, Social Media Strategist, Stevie Says Social Phoebe Parsons, Podcaster, Confessions of a Twenty Something Train Wreck Ronsley Vaz, Founder & Chief Energy Officer, Amplify Panel Facilitator: Elizabeth Gibbons, Director of Client Services, zeroseven Podcast Host and Event MC: Lisa Ma, Networx Brisbane & Iceberg EventsLinks to the speakers' podcasts:Stevie Says Social PodcastConfessions of a Twenty Something Train WreckBond AppetitShould I Start a Podcast?Further resource links:Networx blog post: How Brands Can Leverage Podcasts In 2018Networx final top tips video: Podcasts - Giving your brand a voice+++This is a live recording at Loft West End on 28 August 2018 by Select Audio Visual.Networx Brisbane events are organised by conference and events company, Iceberg Events. These events are proudly supported by Reload Media, Vivo Group, Select Audio Visual, Vision6, Andzen and DPMA.Produced by Networx Brisbane, Australia. For upcoming live events, visit https://brisbane.networxevents.com.au/eventsFollow Networx Brisbane on Facebook, Instagram, LinkedIn and Twitter.